When I was growing up, my family had lots of traditions involving outdoor activities. For instance, every year around Labor Day we would camp for a week at Nickerson State Park on Cape Cod. I remember always having to touch the U.S. Geological Survey marker at the top of every mountain we climbed for it to officially count – at least according to my dad. Also, for as long as I can remember growing up (and even today), my dad never bought a Christmas tree. We always hiked a mile or more into the White Mountain National Forest to procure the “perfect” tree from what I think was a swamp outside of snow season. It was sort of like National Lampoon’s Christmas Vacation – except without the station wagon. Anyways, another tradition I remember clearly was almost always taking a hike on Christmas and Easter days. On Christmas Day, we would commonly hike across the Sleeping Bear Dunes National Lakeshore as they are right next to my grandparent’s house. However, on Easter, we usually went hiking in New Hampshire. Last weekend on Easter, I continued that tradition with my son and wife. We visited Little Mashel River Falls at the Charles Lathrop Pack Forest in Eatonville, Wa. It was a nice family hike (albeit muddy) and a tradition I hope to keep. Check out my review below and see the short video I put together. = The hike itself wasn’t all that long. 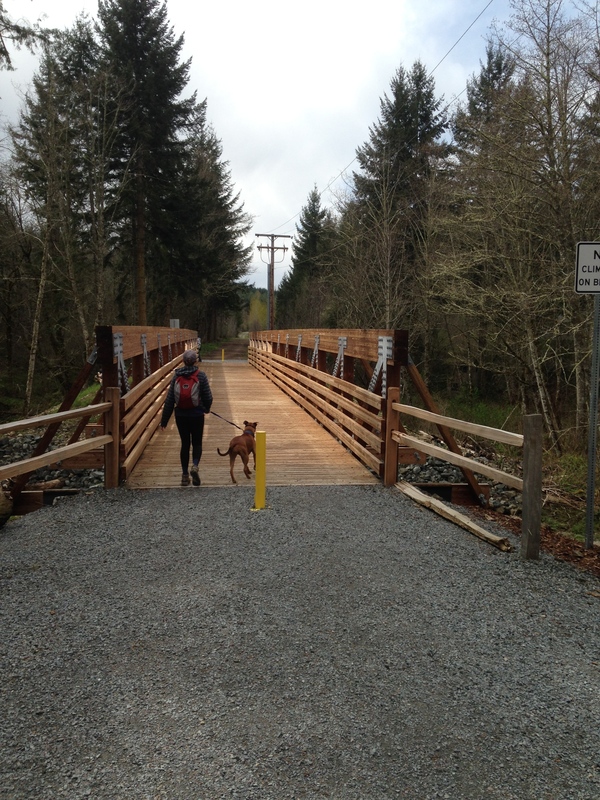 We maybe covered 5-6 miles by starting at Smallwood Park in Eatonville and following the gravel pedestrian path from there across the Little Mashel River to the Pack Forest Weyerhauser Road and the Falls Trail on the left just past the pedestrian bridge. However, the Falls Trail (which parallels Little Mashel River and connects with two spur trails that go to the three individual falls) is extremely muddy and slippery. Furthermore the spur trails are also very slick and the one to Lower Falls is steep and difficult to climb down. If you do climb down to Lower Falls, don’t use the steel cable as a handhold because bits of the cable are frayed and can cut you. = The main access route to the Little Mashel Falls, the Falls Trail, needs some work desperately. The path is very muddy and signage is limited if at all existent. If you access the trail from the 1070 Road (nearest the train tracks and trestle that spans Little Mashel River) expect some confusion. There are no signs here (just a rock spray-painted with the words “Falls”) and several unmarked trails go all over the forest adjacent the river. Furthermore, to see Upper Falls (aka Tom Tom Falls), you will need to climb down one of the trails that goes down the steep embankment or hike to the spur trail entrance off of Falls Trail. If you do climb down the embankment though, once you reach the bottom you can follow the well-marked spur trail that will take you back to the main Falls Trail. = Pack Forest is a nicely rural hiking destination located along Route 7 (National Park Highway). The sustainably harvested Pack Forest features lots of other trails besides the popular Falls Trail and Little Mashel Falls area (such as Hugo Peak), however, you will definitely want a map when visiting this forest. = The Little Mashel Falls area is amazing. Seeing these powerful waterfalls up close and personal is awe-inspiring and deafening. However, the trail mostly follows along the river and doesn’t explore a real environmentally diverse space. 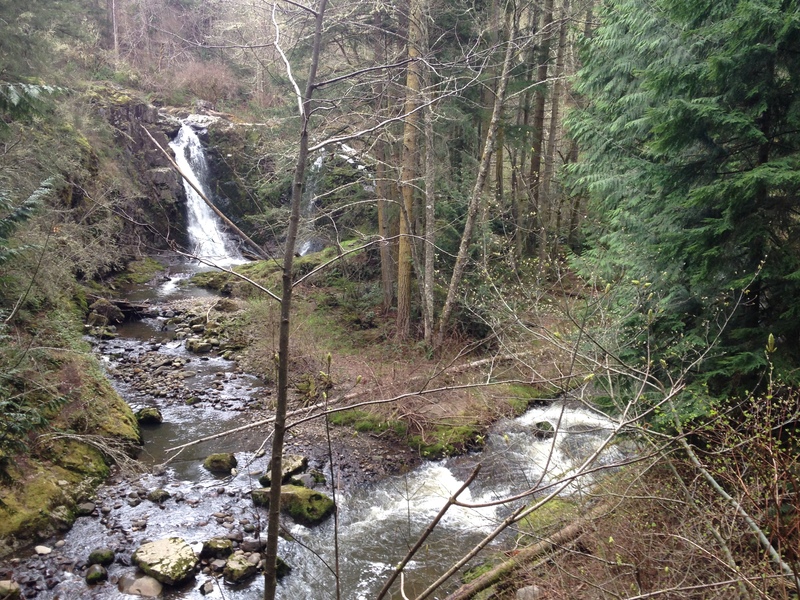 Where: To hike to the falls, you can start at the Pack Forest headquarters or Smallwood Park in Eatonville. Starting from either location requires you to hike roughly the same distance to reach the falls. Both locations are free and open to the public. Personally I enjoyed hiking to the falls from the Pack Forest headquarters as hiking to them from Smallwood Park required walking along a gravel pedestrian path for nearly 3/4 of a mile. The path wasn’t too exciting and I would much prefer to hike the trails and logging roads in Pack Forest. 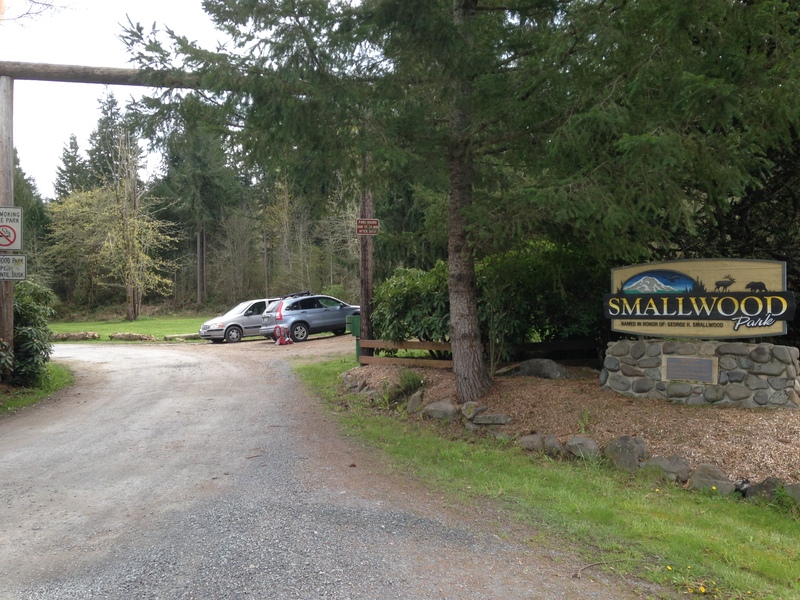 You can reach both trailheads from Route 7 or Route 161 in the South Puget Sound area. Pedestrian path bridge over Little Mashel River. I also think that you can access the 1070 Road from a pull-off area on the Alder Cutoff Road. This route requires crossing an inactive train trestle above the Little Mashel River or finding another way across the river above the falls. I would not recommend either. Furthermore, according to this trail description, signs at the pull-off warn people not to use this route to access the trails. 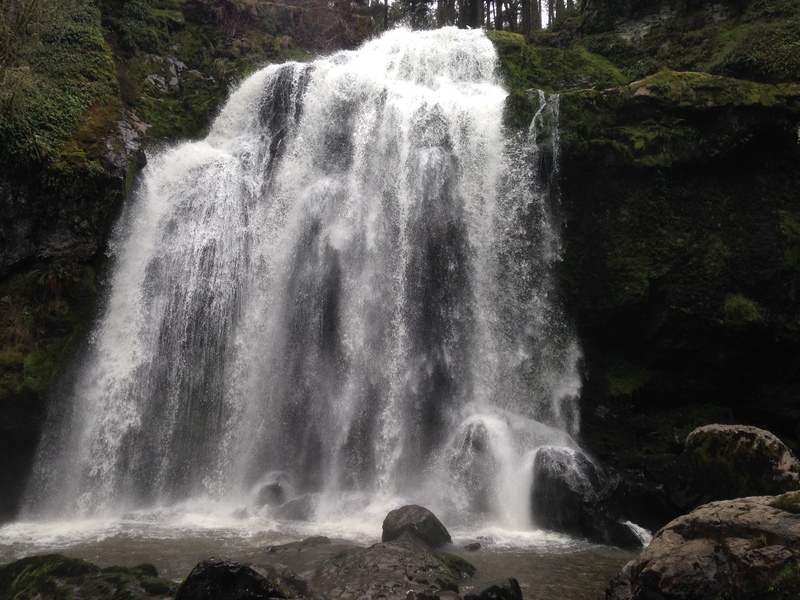 While the Pack Forest and Smallwood Park access points are a much greater distance from the actual falls, you will certainly enjoy the hike to them. When to Go: I wouldn’t recommend visiting Little Mashel Falls after a good rain. The Falls Trail is exceptionally messy. Whenever you go, you will want to wear sturdy hiking boots. Also, multiple signs around Middle Falls (aka Bridal Veil Falls) warn hikers of the dangers of getting too close to the falls, so visiting them might be more dangerous when the water is higher. Use caution around all three falls because the rocks are very slick. 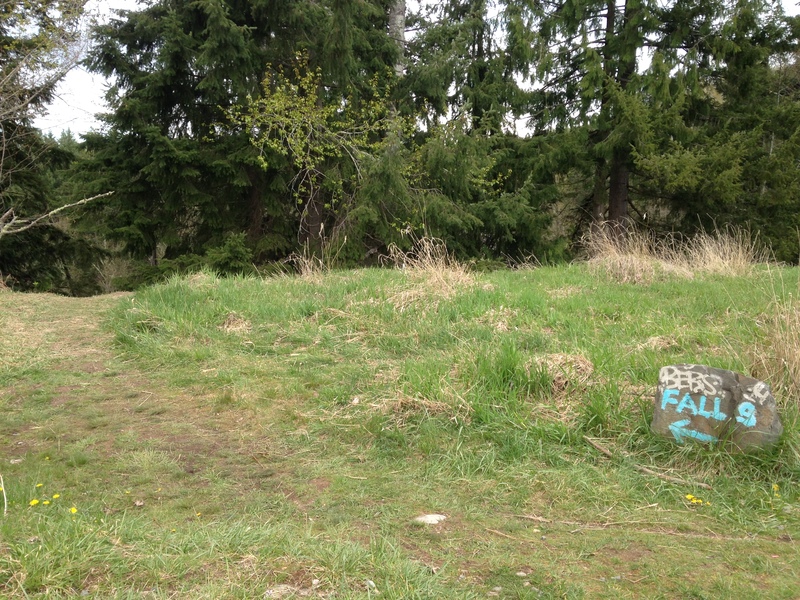 Trail Information: Make sure to bring a map of Pack Forest. Also, if I were to visit after a heavy rain, I might bring micro-spikes to pull on my hiking boots for the muddy sections on the Falls Trail and the spur trails. There are two spur trails. The one nearest Weyerhauser Road (an unused dirt road that extends along the southern border of Pack Forest) goes down to the Lower Falls. This trails is the more difficult of the two. The second spur trail can be accessed off of the main Falls Trail or by climbing down the embankment from the 1070 Road to the same spur path along the river. 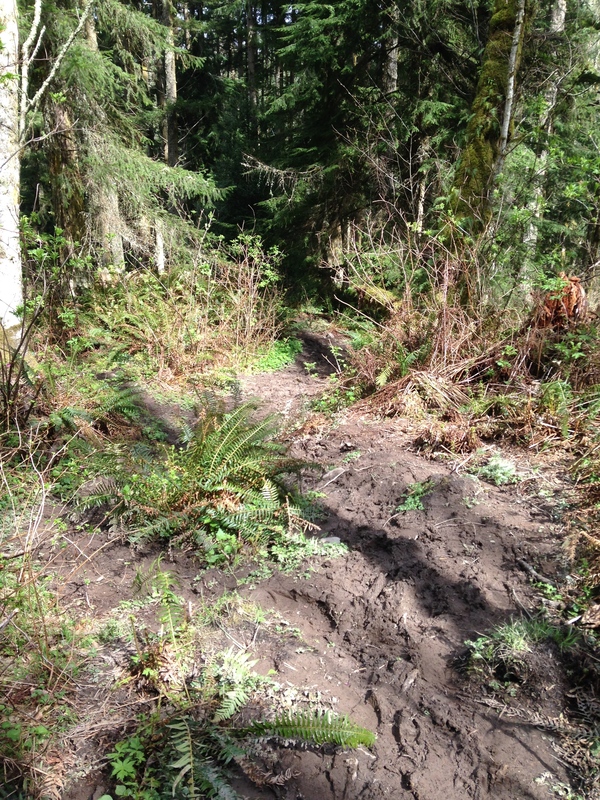 Use extreme caution if you climb down the embankment from the 1070 Road as the unmarked trails there are very steep. Finally, if you access Falls Trail from Weyerhauser, you will need to closely follow the signs near the beginning to avoid losing the path when it merges with multiple unmarked trails. If you access it from the 1070 Road, the easiest method is to nix scrambling down the steep embankment but to follow the grassy path that parellels the 1070 Road for several hundred feet. This path is beginning of the Falls Trail (though mostly unmarked here) and it will take you to both spur trails, which you can access much easier from the main path than from the 1070 Road. 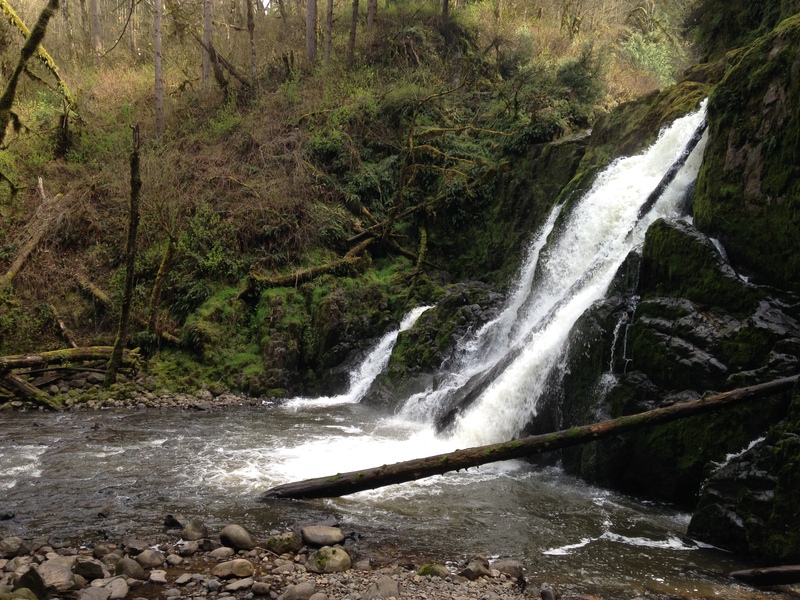 For more information and tips on visiting Little Marshel Falls, check out this AllTrails info and this Washington Trails Association page.